Sawa M, Iwata E, Ishikawa K, Gomi F, Nishida K, Terasaki H. Comparison of different treatment intervals between bevacizumab injection and photodynamic therapy in combined therapy for age-related macular degeneration. Jpn J Ophthalmol. 2012 Sep;56(5):470-5. Iwata E, Ueno S, Ishikawa K, Ito Y, Uetani R, Piao CH, Kondo M, Terasaki H. Focal macular electroretinograms after intravitreal injections of bevacizumab for age-related macular degeneration. Invest Ophthalmol Vis Sci. 2012 Jun 28;53(7):4185-90. Uetani R, Ito Y, Oiwa K, Ishikawa K, Terasaki H. Half-dose vs one-third-dose photodynamic therapy for chronic central serous chorioretinopathy. Eye (Lond). 2012 May;26(5):640-9. Nishiguchi KM, Yasuma TR, Tomida D, Nakamura M, Ishikawa K, Kikuchi M, Ohmi Y, Niwa T, Hamajima N, Furukawa K, Terasaki H. C9-R95X polymorphism in patients with neovascular age-related macular degeneration. Invest Ophthalmol Vis Sci. 2012 Jan 31;53(1):508-12. Takeuchi K, Kachi S, Iwata E, Ishikawa K, Terasaki H. Visual function 5 years or more after macular translocation surgery for myopic choroidal neovascularisation and age-related macular degeneration. Eye (Lond). 2012 Jan;26(1):51-60. Takahashi A, Ito Y, Iguchi Y, Yasuma TR, Ishikawa K, Terasaki H. Axial length increases and related changes in highly myopic normal eyes with myopic complications in fellow eyes. Retina. 2012 Jan;32(1):127-33. Tanabe H, Ito Y, Iguchi Y, Ozawa S, Ishikawa K, Terasaki H. Correlation between cross-sectional shape of choroidal veins and choroidal thickness. Jpn J Ophthalmol. 2011 Nov;55(6):614-9. Ishikawa K, Nishihara H, Ozawa S, Piao CH, Ito Y, Kondo M, Terasaki H. Focal macular electroretinograms after photodynamic therapy combined with intravitreal bevacizumab. Graefes Arch Clin Exp Ophthalmol. 2011 Feb;249(2):273-80. Hatta Y, Ishikawa K, Nishihara H, Ozawa S, Ito Y, Terasaki H. Effect of photodynamic therapy alone or combined with posterior subtenon triamcinolone acetonide or intravitreal bevacizumab on choroidal hypofluorescence by indocyanine green angiography. Retina. 2010 Mar;30(3):495-502. Ozawa S, Ishikawa K, Ito Y, Nishihara H, Yamakoshi T, Hatta Y, Terasaki H. Differences in macular morphology between polypoidal choroidal vasculopathy and exudative age-related macular degeneration detected by optical coherence tomography. Retina. 2009 Jun;29(6):793-802. 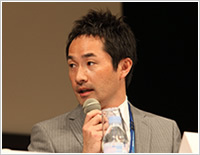 Kachi S, Ishikawa K, Terasaki H. [New therapies for age-related macular degeneration] Nippon Ganka Gakkai Zasshi. 2009 Apr;113(4):479-91. Yamakoshi T, Kachi S, Sugita J, Asami T, Ishikawa K, Ito Y, Terasaki H. Triamcinolone-assisted removal of internal limiting membrane enhances the effect of vitrectomy for diabetic macular edema. Ophthalmic Res. 2009;41(4):203-9. Epub 2009 May 15. Ishikawa K, Nishihara H, Ozawa S, Piao CH, Ito Y, Kondo M, Terasaki H. Focal macular electroretinograms after photodynamic therapy combined with posterior juxtascleral triamcinolone acetonide. Retina. 2009 Jun;29(6):803-10. Ishikawa K, Ito Y, Mizutani R, Kikuchi M, Nishihara H, Terasaki H. New algorithm to analyze optical coherence tomographic images quantitatively. Jpn J Ophthalmol. 2008 May-Jun;52(3):182-9. Nishihara H, Kondo M, Ishikawa K, Sugita T, Piao CH, Nakamura Y, Terasaki H. Focal macular electroretinograms in eyes with wet-type age-related macular degeneration.Invest Ophthalmol Vis Sci. 2008 Jul;49(7):3121-5. Kikuchi M, Hishida A, Ishikawa K, Sagawa H, Suzuki K, Ito Y, Terasaki H, Hamajima N. Associations between serum C-reactive protein (CRP) levels and polymorphisms of CRP, interleukin 1B, and tumor necrosis factor genes among Japanese health checkup examinees. Asian Pac J Cancer Prev. 2007 Jan-Mar;8(1):87-92. Ishikawa K, Kondo M, Ito Y, Kikuchi M, Nishihara H, Piao CH, Sugita T, Terasaki H. Correlation between focal macular electroretinograms and angiographic findings after photodynamic therapy. Invest Ophthalmol Vis Sci. 2007 May;48(5):2254-9. Kikuchi M, Nakamura M, Ishikawa K, Suzuki T, Nishihara H, Yamakoshi T, Nishio K, Taki K, Niwa T, Hamajima N, Terasaki H. Elevated C-reactive protein levels in patients with polypoidal choroidal vasculopathy and patients with neovascular age-related macular degeneration. Ophthalmology. 2007 Sep;114(9):1722-7. Iguchi Y, Ito Y, Kikuchi M, Ishikawa K, Oshima H, Yatsuya H, Terasaki H. Seasonal variations of acute massive submacular haemorrhage associated with age-related macular degeneration. Br J Ophthalmol. 2006 Oct;90(10):1256-8. Kondo M, Ito Y, Miyata K, Kondo N, Ishikawa K, Terasaki H. Effect of axial length on laser spot size during photodynamic therapy: an experimental study in monkeys. Am J Ophthalmol. 2006 Jan;141(1):214-5. Kobayashi C, Kagami H, Kito K, Ishikawa K, Ebisawa K, Ueda M, Terasaki H. Selective and efficient culturing of retinal pigment epithelial cells using a feeder layer. Cytotherapy. 2005;7(5):427-37. Ishikawa K, Terasaki H, Mori M, Sugita K, Miyake Y. Optical coherence tomography before and after vitrectomy with internal limiting membrane removal in a child with optic disc pit maculopathy. Jpn J Ophthalmol. 2005 Sep-Oct;49(5):411-3. Yamada M, Ishikawa K, Terasaki H. Vitreomacular traction after macular translocation surgery in a highly myopic eye. Retina. 2005 Feb-Mar;25(2):221-3. Ishikawa K, Terasaki H, Kobayashi C, Niwa Y, Piao CH, Ito Y, Kondo M, Miyake Y. Changes in foveal thickness and macular function after transpupillary thermotherapy for age-related macular degeneration. Ophthalmic Res. 2005 Jan-Feb;37(1):34-42. Terasaki H, Ishikawa K, Niwa Y, Piao CH, Niwa T, Kondo M, Ito Y, Miyake Y. Changes in focal macular ERGs after macular translocation surgery with 360 degrees retinotomy. Invest Ophthalmol Vis Sci. 2004 Feb;45(2):567-73. Terasaki H, Ishikawa K, Suzuki T, Nakamura M, Miyake K, Miyake Y. Morphologic and angiographic assessment of the macula after macular translocation surgery with 360 degrees retinotomy. Ophthalmology. 2003 Dec;110(12):2403-8. Ito Y, Terasaki H, Suzuki T, Kojima T, Mori M, Ishikawa K, Miyake Y. Mapping posterior vitreous detachment by optical coherence tomography in eyes with idiopathic macular hole. Am J Ophthalmol. 2003 Mar;135(3):351-5.